Successfully Added 10 Inch Tablet PC - 4G, Dual SIM, Android 6.0, Quad Core CPU, 1GB RAM, OTG, SD Card Slot, HD IPS Screen, 4500mAh Battery to your Shopping Cart. 1280x800 Resolutions on the 10.1 inch IPS display let you enjoy movies and games inall their detail. This 10 inch tablet PC has enough screen space to make games, movies and surfing the web enjoyable and easy. The high definition 1280 by 800 resolution brings good pixel density for a rich viewing experience that brings your media to life, letting you enjoy films and games in all their glory. This stunning tablet PC boast 4G connectivity so you will be able to stream HD movies on the go with the ultra fast cellular data connectivity that is on par with most wired broadband connections. Having two SIM card slots will let you use different cellular providers for better coverage and allows you to manage contacts efficiently between the two. At the heart of this 10 inch tablet PC is a quad core CPU and Mali 720 graphics processing unit that is backed up by 1GB of RAM. This provides a reliable performance able to handle intense games, HD media and multitasking ensuring you have a smooth user experience every time. Android 6.0 brings an friendly and easy to use interface that lets you take advantage of voice commands and smart searches as well as more intuitive menus and better battery management. So you'll be able to enjoy plenty of usage time from the 4500mAh built in battery. 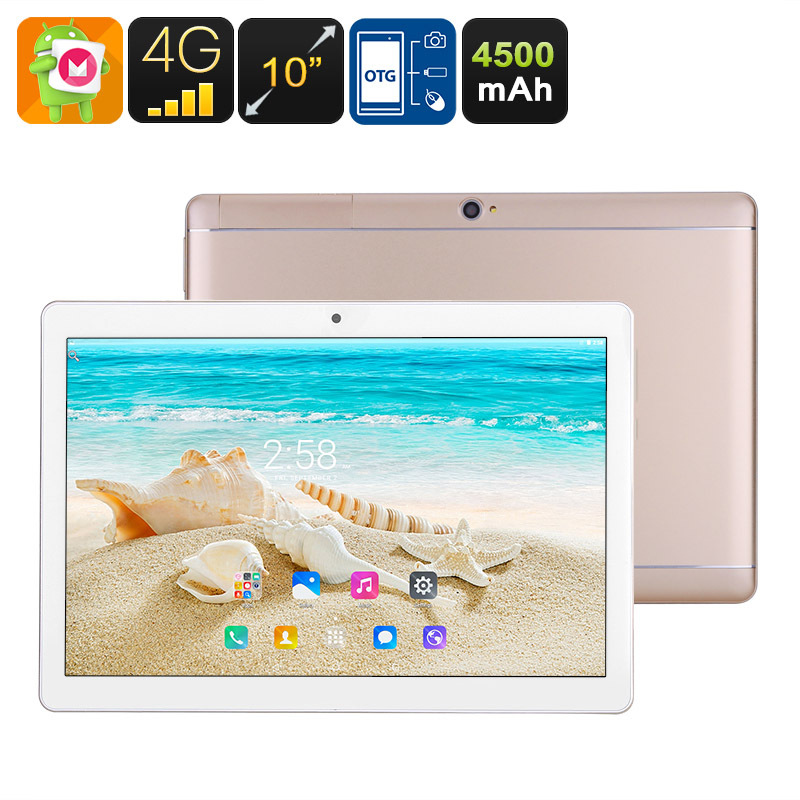 This 10.1 inch Android Tablet PC comes with a 12 months warranty, brought to you by the leader in electronic devices as well as wholesale electronic gadgets..